Google extended their Google Play Movies service into two new countries, India and Mexico. 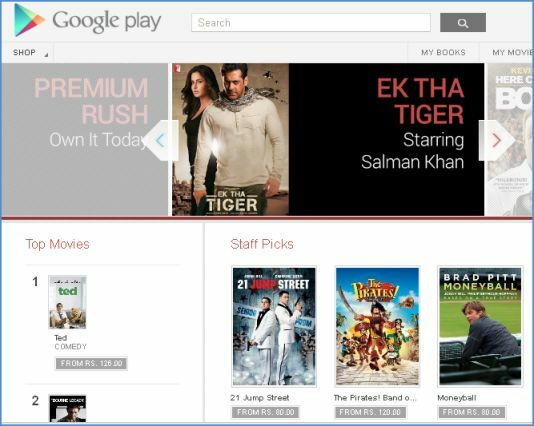 Now Indian users can buy or rent the movies on Google Play available from today. It seems Google takes India a little seriously, after the launches of Google Play books and Nexus 7 tablet in India. 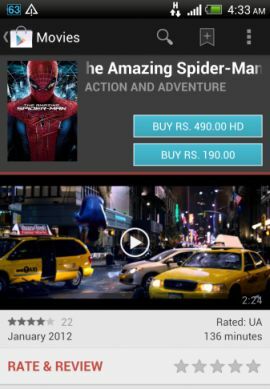 Android mobile and tablet users can download the app “Google Play Movies & TV” for watching videos online. Also you can download the videos and watch later offline from your device. Movies are now available on Google Play in the 13 countries are US, UK, India, Spain, Mexico, Canada, Brazil, Japan, Korea, France, Australia, Russia and Spain.